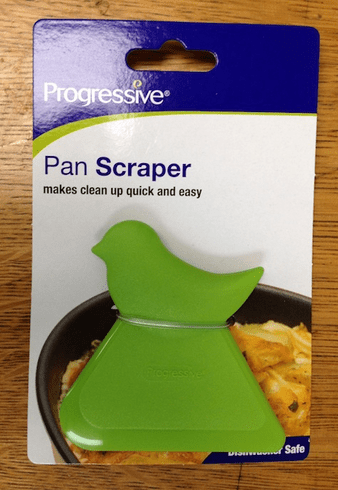 Scrape your pans and stove top with this handy scraper. It is safe for non stick pans. Use the wide end for big jobs and the tail and beak for hard to reach areas.